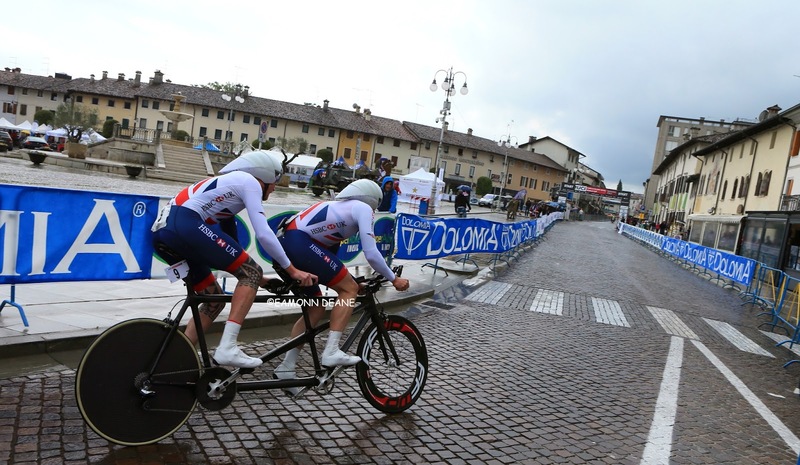 There was a golden start for the Great Britain Cycling Team on the first day of action at the UCI Para-cycling World Cup in Maniago as Steve Bate and Adam Duggleby claimed gold in the time-trial. In their first race together since the Paralympics they showed they remain the tandem to beat with a dominant performance, finishing well clear of the Dutch and Spanish in second and third place, covering the 24 kilometre route in 28.59.81. “There’s still a lot more to come. Adam and I haven’t done that much. We’ve enjoyed a winter off really so it’s nice to come back and stake a claim at the top of podium. There was also a successful return to road action for Crystal Lane in the day’s morning session after she picked up a silver medal. 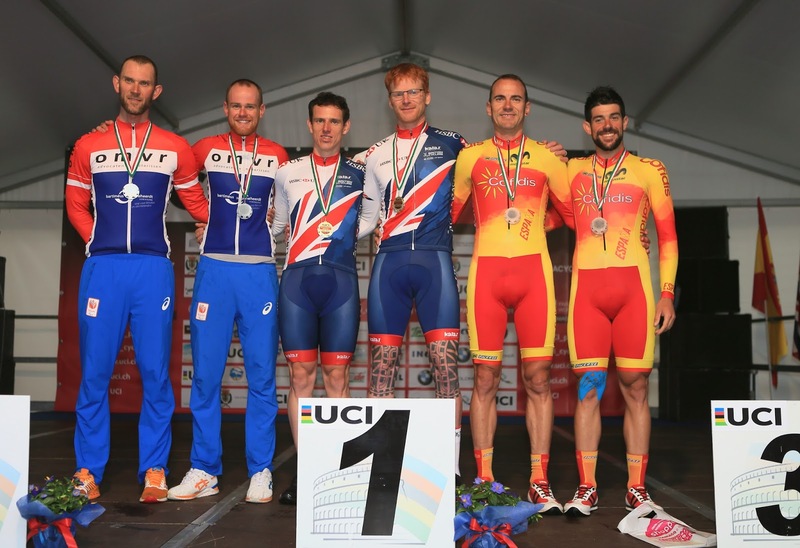 On his debut for the Great Britain Cycling Team Will Bjergfelt finished in sixth place in the C5 competition, while Liz Saul and Simon Price finished in sixth and seventh place respectively in their classifications. 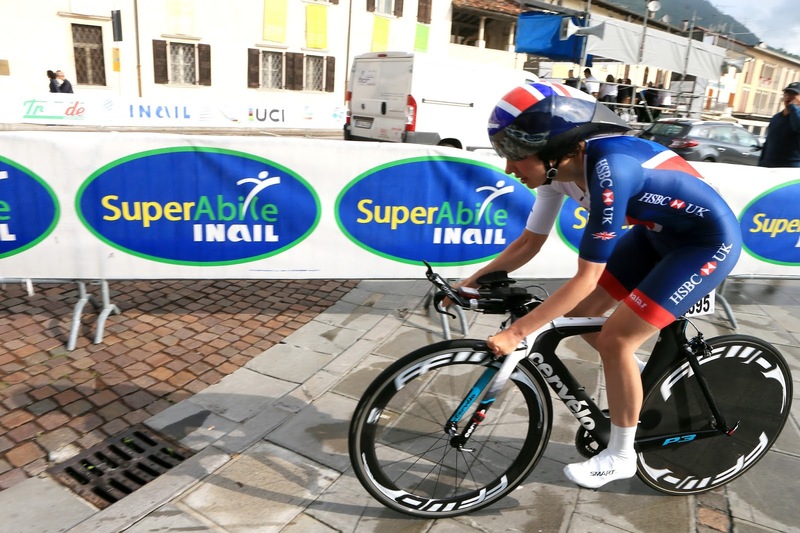 Craig McCann finished fifth in the T2 time-trial and he’ll be the only Great Britain Cycling Team rider in road race action on Saturday with the rest of the team competing on Sunday.